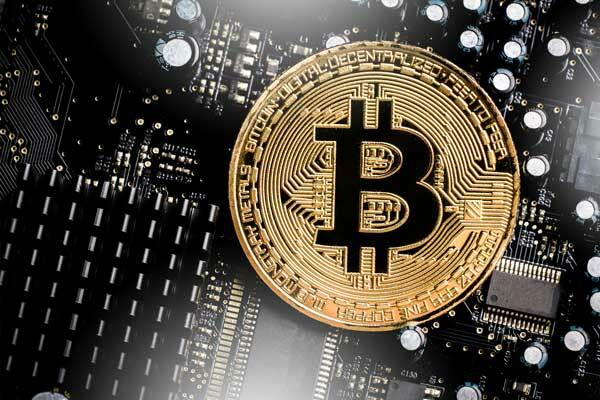 That memo was a key driver of the state’s decision to accept bitcoin for taxes, Ohio’s state treasurer Josh Mandel told CNBC this week. As of Monday, Ohio became the first state where business can pay their taxes in cryptocurrency. Mandel, 41, said the decision was twofold: It increases “options and ease” for taxpayers, and it opens the door to software engineers and tech start-ups. States tend to compete for software engineers and new businesses, Mandel said. By being open to bitcoin, the idea is that blockchain companies may follow. Forty-one-year-old Mandel, a former U.S. marine who served multiple tours in Iraq, led the cryptocurrency charge after learning about bitcoin a few years earlier. The bitcoin-tax process started in the middle of this year, he said. For now, the payment option is only available to businesses. Companies can go to OhioCrypto.com, enter their tax information, then third-party payment processor BitPay verifies the transaction on blockchain. It converts the cryptocurrency to U.S. dollars, then transfer those dollars to the state of Ohio. For now, Ohio is the only bitcoin-friendly state for taxes. But Mandel hopes the move will inspire others, including the IRS. Bitcoin seemed like “a good place to start,” Mandel said, but the state will eventually would look to accept individual taxes and a range of other cryptocurrencies. One benefit is price. While there is no fee to pay taxes with a check, or ACH deposit, paying by credit card incurs a 2.5 percent fee. Paying in bitcoin is a 1 percent fee, collected by BitPay. “Not only is this a new option, it’s actually a less expensive option,” Mandel said. Bitcoin can be a divisive topic with its fair share of critics. CEOs like Jamie Dimon and Warren Buffett have repeatedly warned investors of the hype and risks. News of hacks and fraud in initial coin offerings have also muddied the reputation of cryptocurrencies. Still, Mandel said he hasn’t seen resistance from state policy-makers. Bitcoin started a decade ago but gained status as a household name during its 1,300 percent price rise and march to nearly $20,000 last year. Because the cryptocurrency’s value can vary drastically in a single day, it hasn’t widely caught on as a means of payment. Those prices have dropped precipitously this year. Since January, the cryptocurrency has fallen roughly 70 percent. Sunday it fell below $3,500 for the first time in 14 months, and lost 30 percent in over seven days. It recovered slightly this week and was trading near $4,300 Thursday, according to CoinDesk. Despite the price pain, BitPay CEO Stephen Pair said the amount of bitcoin payment transactions are growing steadily. The company has gone from 5 to 6 transactions per day to processing $1 billion in payments per year, Pair said.